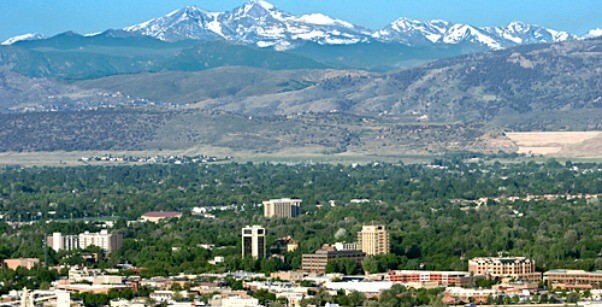 In 2010, the city of Fort Collins, Colorado teamed up with Colorado State University for the Google Fiber challenge. If chosen, Google Fiber, a fiber-to-the-premises service that provides broadband internet, would be built in the city. Fort Collins entered the challenge because residents had long complained about the quality of their internet service. The city was seeking a new solution. Google did not select Fort Collins, but with strategic plans already developed during the challenge the city decided to take the issue into its own hands. So, Fort Collins decided to ask its voters for permission to become their Internet Service Provider. Building a municipal network was a controversial project for the citizens and businesses of Fort Collins. An anti-municipal broadband group, called “Priorities First Fort Collins,” spent more than $900,000 on a campaign against the project. They received most of their funding from the Colorado Cable Telecommunications Association and a group run by the city’s Chamber of Commerce. Rival Internet Service Providers like Comcast and CenturyLink were members of the opposition. The group funded ads warning voters that a publicly funded network would take money away from other infrastructure initiatives, like maintaining roads and public safety. The mayor of Fort Collins called it a major “misinformation” campaign. The pro-municipal broadband group, the “Fort Collins Citizens’ Broadband Committee” spent $15,000 on advertising in support of the project. They argued that the network would would be funded by bonds, not the city budget. So, it would not take money away from other infrastructure initiatives. They also claimed it will be self-sustainable because it would charge subscriber fees. On November 7, 2017, the voters of Fort Collins approved a ballot question authorizing the city to build the broadband network. The project passed with 57.15% of votes. With such a huge differential in spending this was a greater victory for the project supporters. “Big money can buy ad spots and air time, but it can’t buy votes in Fort Collins,” said Committee leader Glen Akins. The vote gave Fort Collins the permission to become an Internet Service Provider (ISP). The city plans to provide broadband as a utility, building out its own infrastructure (FTTP: Fiber to the Premise). The goal is to offer 1 gigabit-per second speed for uploads and downloads. The city has approved up to $150 million in bonds and debt to finance the project. Fort Collins expects to pay off that amount within 14 years of service. Projected pricing for residential customers is $70 per month for 1 gbps and $50 per month for 50 mbps. In January of 2018, Fort Collins issued a Broadband Request for Proposal for the engineering, design, equipment, and marketing of the broadband solution. The city estimates that building and implementing high speed next-generation broadband to the entire community will take 3-4 years. It hopes to begin serving its customers, however, within the next 2 years. Remarkably, this project is going ahead despite a law in Colorado prohibiting local governments from creating broadband networks. 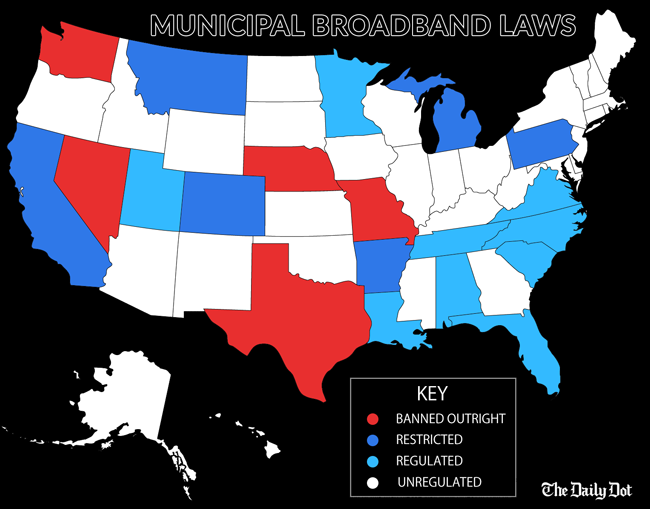 As voters begin to recognize the benefits of municipal broadband service they are overturning this law. Fort Collins voters overrode the law in 2015. In November of 2017, 19 more Colorado cities and counties voted to opt out of the law, joining around 100 others in the state. Building municipal broadband internet gives cities a way to offer their residents internet with faster speeds, lower costs, and better service. It increases competition in the area, which can be crucial to making internet affordable for all residents when a lack of competition has driven prices up. Additionally, building a municipal broadband network can boost economic development, creating jobs and drawing new businesses to the area. It can bring internet access to underserved areas who lacked internet access under traditional Internet Service Providers. Finally, internet service provided by a municipality can reflect the views of the municipality. 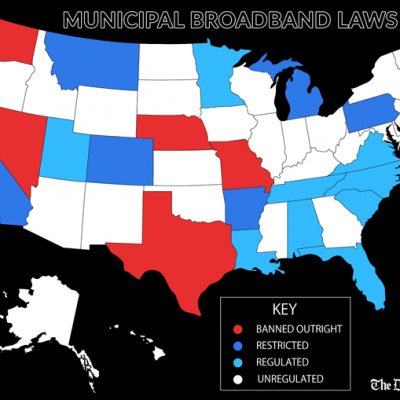 While the FCC may have abolished Net Neutrality, municipal networks represent the continuation of open internet. These networks are typically not for profit and are champions of equitable service. Fort Collins has taken a firm stance on Net Neutrality. The city is committed to Net Neutrality’s key principals of not blocking, slowing down, or speeding up access to the internet based on who is accessing the internet or where the access occurs. Net Neutrality means the internet is open for everyone. In line with these principles, the City Broadband Plan does not call for any restrictions on access. This includes uploads, downloads, delivery methods, and providers (email, Skype, Netflix, etc.). 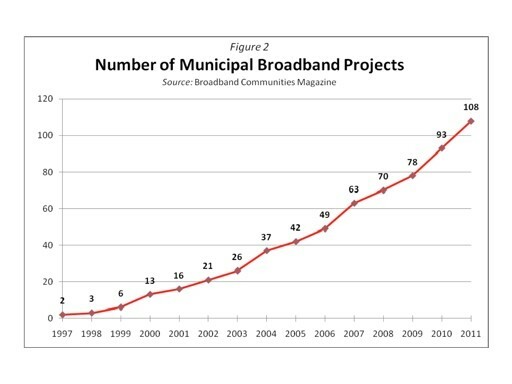 In 2000, the Federal Communications Commission endorsed municipal broadband as a “best practice” for bringing broadband to underserved communities. Municipal broadband networks, like Fort Collins is building, are beginning to show success as well. FiSci’s solution is perfectly geared to help, as the number of communities building their own broadband networks continues to rise. Speedy installation: Our wireless solution makes installation quick and easy. Low cost: We provide full LTE end-to-end infrastructure, which improves the efficiency of our system, saving you money. Widespread applications: Our technology is versatile and able to be efficiently deployed in both rural and urban locations. Expertise: We have the expertise to assist you in setting up the network effectively so that no money or time is wasted. What do you think of municipalities building their own broadband network? Would you like us to keep you updated on the Fort Collins project and others like it? Let us know below!